Without the money, we would not have felt comfortable continuing to push the vet to save Barney’s leg. Financially, we were able to keep Barney at the vet for two weeks while he received two surgeries and several skin grafts and ultimately we were able to keep his leg. Thank you for helping us save this sweet boy! 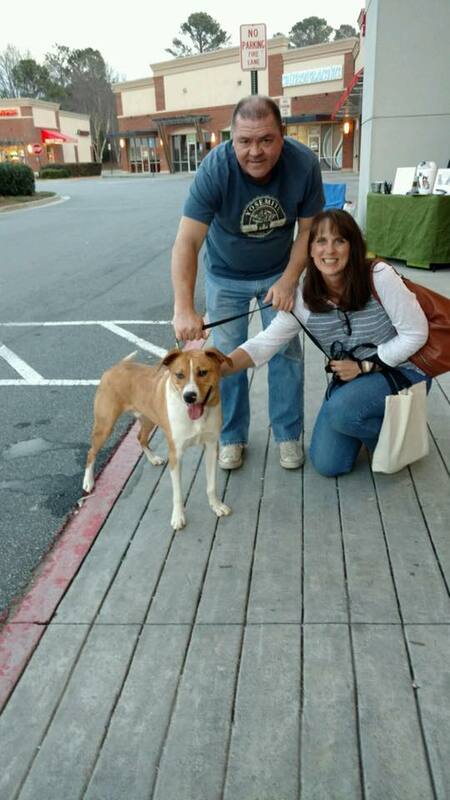 We had a very special hound/boxer mix who was approximately 1.5 years old. Barney was surrendered to our rescue after his owner left him on a cable tie-out during the day. The cable got caught wrapped around his back legs. 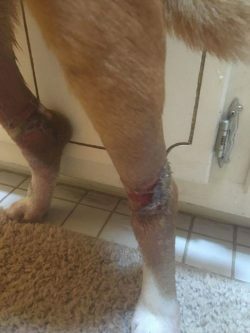 He was left like that for so long that the circulation was cut off nearly the entire day to both rear legs. The cost of his vet bills overwhelmed the owner and she surrendered Barney. Barney spent two weeks at our vet. 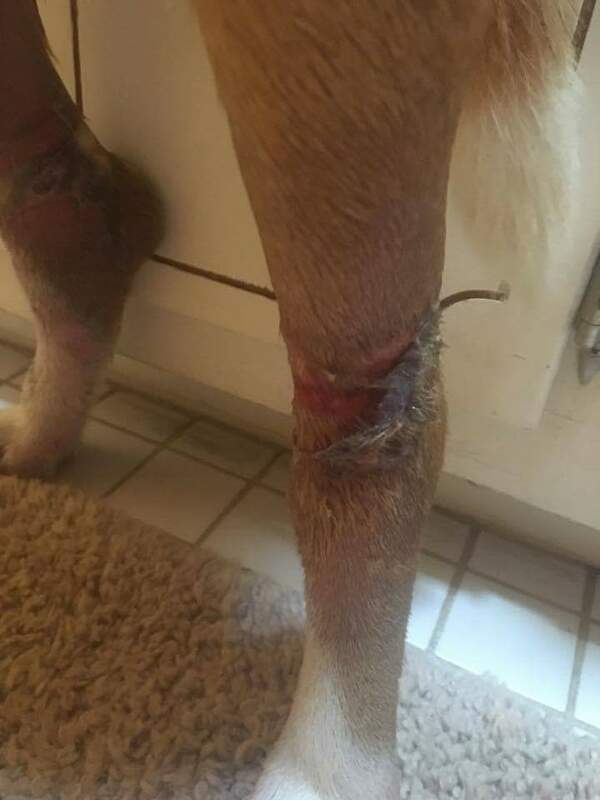 There were a few days where we didn’t know if he would keep one of the legs because the damage was so severe. The grant provided much-needed relief for us to continue to be able to treat him and believe that he could continue to fight. After two surgeries and several skin grafts, he is a healthy, happy boy who has recently been adopted! 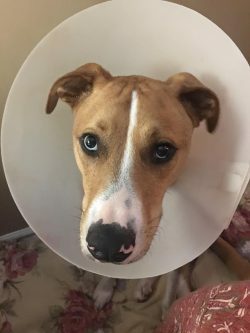 Thank you to the Petfinder Foundation for helping us save this sweet boy! 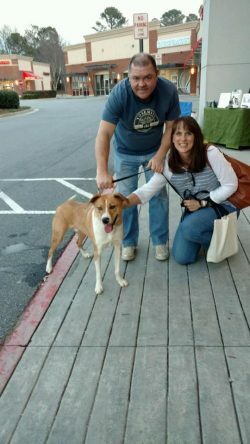 Success Stories from Georgia Pet T.A.I.L.S., Inc.